Yesterday i was a bit thrown off my regular day rhythm. The news of David Bowie’s death on 10 January did make me sad. I did read facebook posts a lot more than i usually do. I also watched a late night documentary David Bowie: Five Years, read online articles and obituaries. It was hard to stay away from. I didn’t know the man. I only bought a greatest hits album and Earthling in the 90s. I liked that one. Still do. But i did like him. He actually was in my daydreams. He was the man i talked with about my byciclerepairman. Today i was in better form. 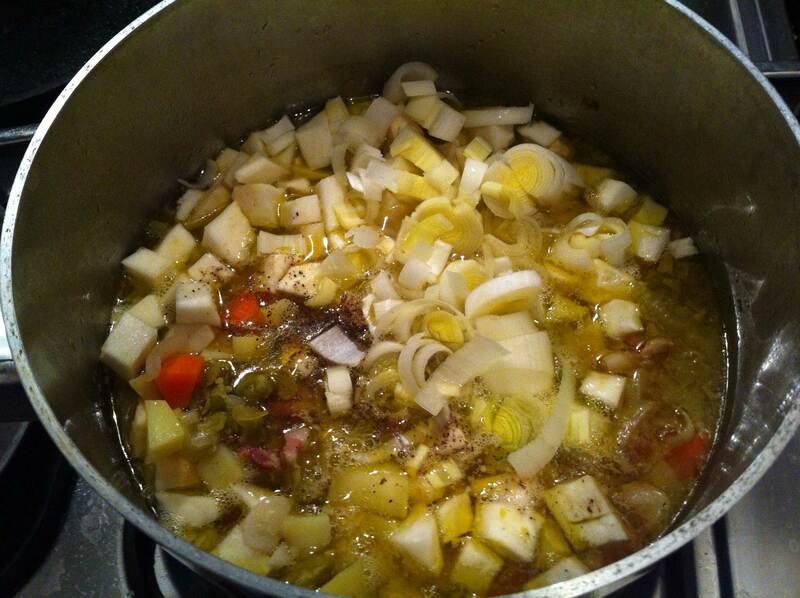 I did went out to the market and bought some remaining vegetables to make a split pea soup. 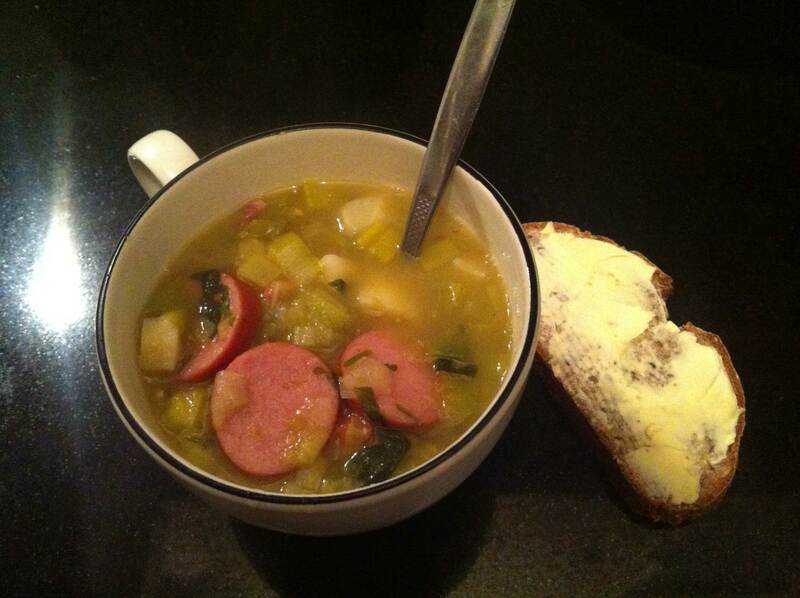 Or rather, a Dutch erwtensoep! Haven’t made this many times, i do usually by a tin, i admit. 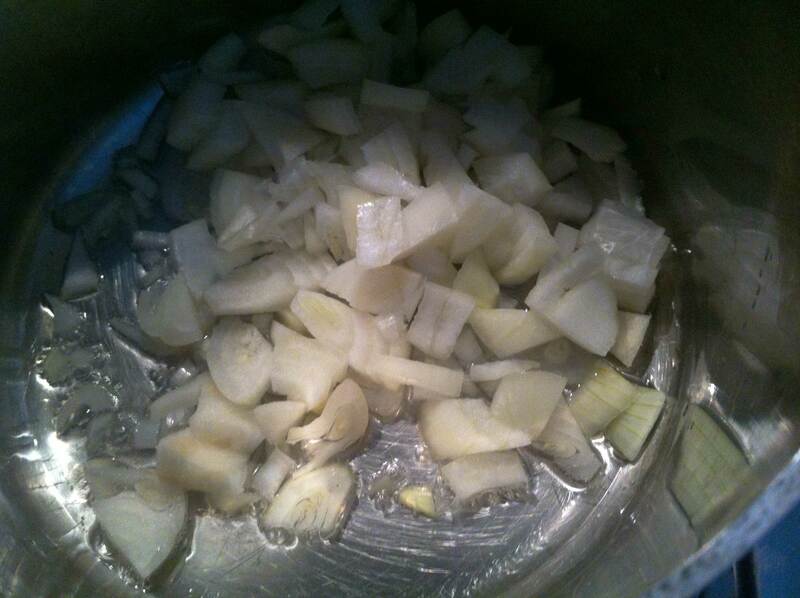 Start with the onion sweating them in a bit of vegetable oil. I went through my herb and spices drawer and added some caraway and coriander seed. After a few minutes i added the carrot, garlic and celery. One and a half liters of water added to this, the two broth cubes and the split peas. Let this simmer for 45 minutes. After 45 minutes add the potatoes, leeks, celeriac and celery. Let the soup simmer on for around 30 minutes. Prepare the sausage as needed, either warm it up in hot, not yet boiling water or cook it till it is done when it is a raw sausage. This will take around 15 minutes. Slice the sausage in small pieces and add these to the soup. The soup is done once the peas are cooked through. 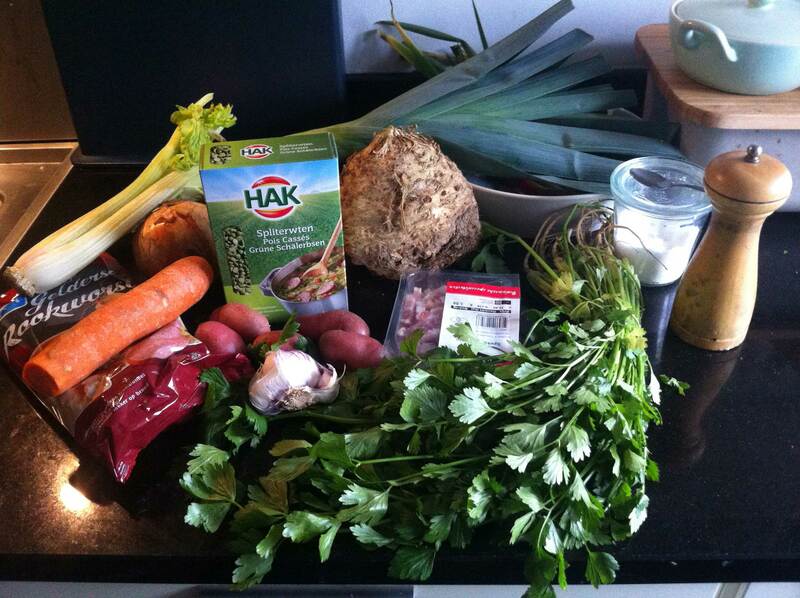 Serve the soup in a large bowl with either bread with butter or with smoked bacon, katenspek. I honestly enjoyed this soup. It was a lot fresher than the ones bought in tins. 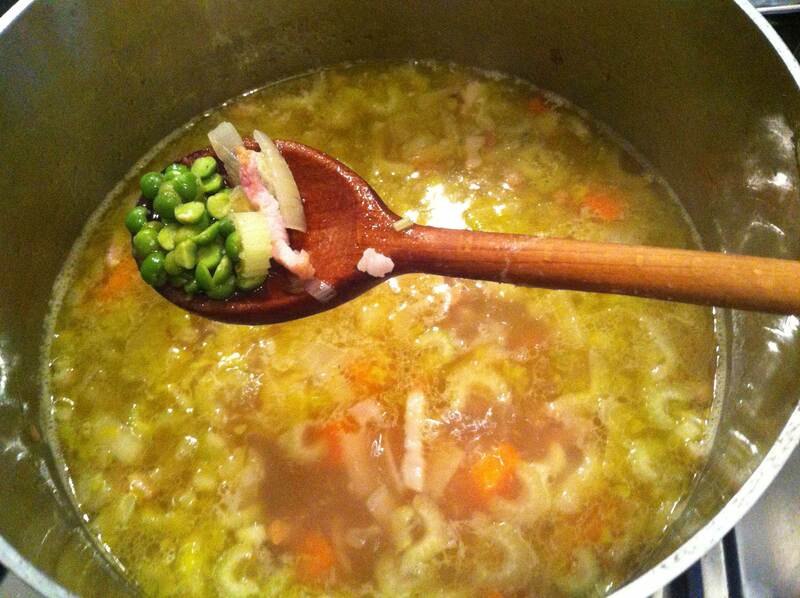 I could have used more split peas, as most photos online are usually of a very thick soup. But i don’t mind that really. There are so many vegetables in this soup that it is a very rewarding meal. Enjoy!